Sale took place onstage at SPAC from September 22-23. Bob Moser came for the Cobra. 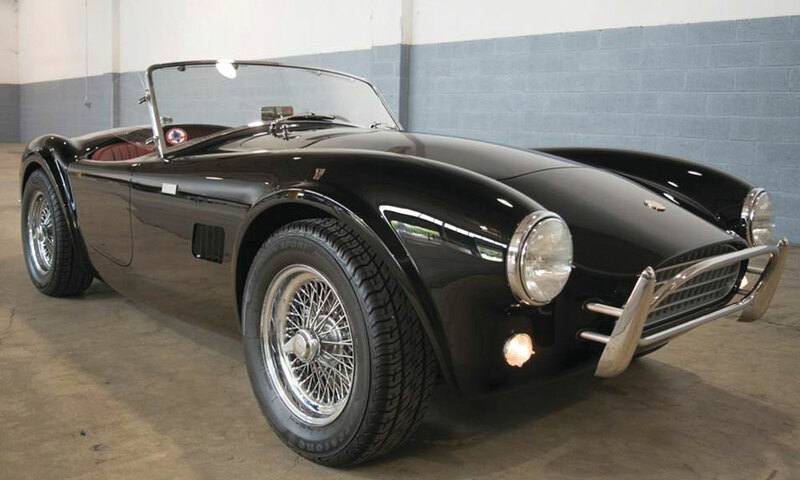 It was a slick, black, two-door 1965 Shelby Cobra with a red interior — one of only 50 built. 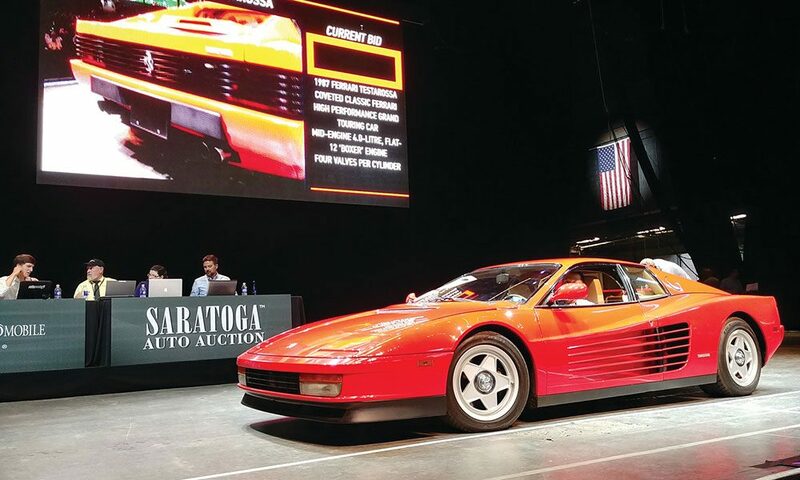 It rolled onto the Saratoga Performing Arts Center stage belonging to someone else, and $137,500 later, rolled off, belonging to him. The Cobra was the highest-selling car at the inaugural Saratoga Auto Auction, held live on the SPAC stage on Sept. 22 and 23 and presented by the Saratoga Automobile Museum. It was one of 210 luxury cars, hot rods, boats and trucks up for auction that weekend, and one of 105 vehicles that sold. “[A] 50 percent sell-through rate for the first year is outstanding,” said Museum Director Jim Letts. 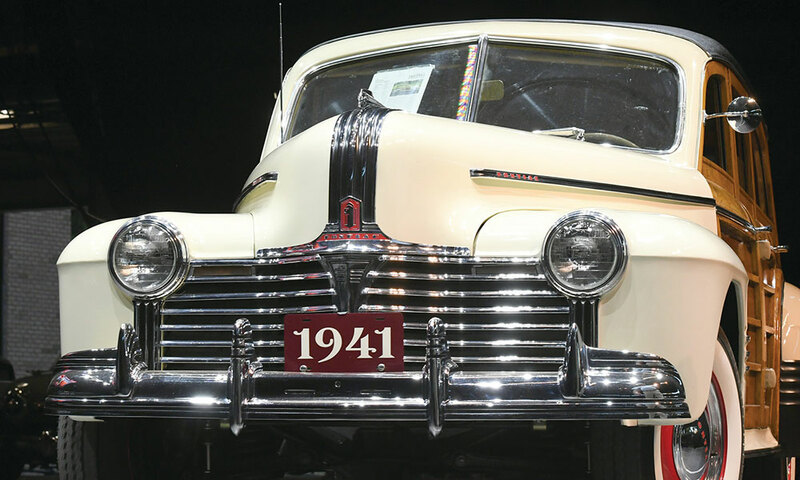 The profit from the auction was also great; $156,000 was raised for the museum’s education programs, including its Distracted Driving awareness program. “The museum could not have had such a success without the help of our volunteers,” Letts added. It took 150 volunteers to pull off the auto auction, the first event of its kind at SPAC. The auction atmosphere was laid back, despite the constant rattling of auction calls from auctioneers Brent Earlywine and Jeff Knosp and the bellowing calls from two bid spotters in front of the stage. About 3,000 attended the two-day event, not including the 417 bidders who sat in a reserved section up front. The common folk sat behind them and tried to see which bidder was discreetly raising a finger to signal a bid. Other bidders participated remotely, and online bid spotters sat with laptops onstage. Television celebrities Steve Hale of the History channel’s American Restoration and Paul Teutul Jr. of the Discovery channel’s American Chopper made guest appearances. High-end VIP cars filled the grassy area near the Hall of Springs, and food trucks offered kettle corn, tacos, pizza, cider doughnuts and ice cream. Other businesses — Impressions of Saratoga, Hatsational and an auto paint restoration company — sold products from beneath pop-up tents. During the weekend, other big sales included a 1959 Chevrolet Corvette Fuelie for $92,000 and a 1956 Chevrolet Corvette for $93,500. Perhaps the most exciting sale, though, was a 1924 Ford Track Roadster that was up for auction Friday night. 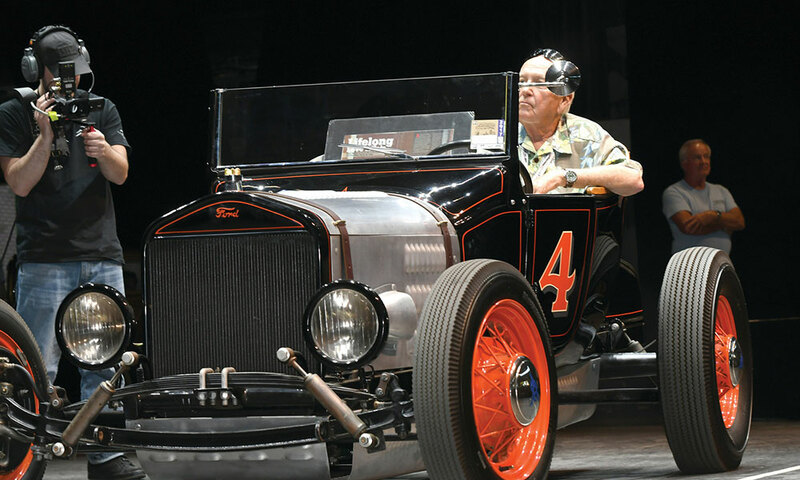 The bidding started off slowly, with the auctioneer encouraging bidders to “Come on, try harder.” It quickly picked up when the seller, sitting in the small black and red hot rod, shook a bid spotter’s hand and removed the $12,000 reserve — the minimum price he would sell the car for. Two warring bidders revealed themselves amid the non-bidding section, and the two bid spotters ran into the audience to egg them on. “AAH!” cried a bid spotter, lunging and pointing toward the stage as a middle-aged man in a baseball hat and low-hanging blue jeans gave him the OK to up his bid to $14,500. “POW!” he yelled, when the car was sold with a strike of the auctioneer’s gavel. The bid spotter shook the man’s hand and returned to his post. The buyer let out a slow breath and smiled to himself — the Roadster was his — then walked out of the auditorium.